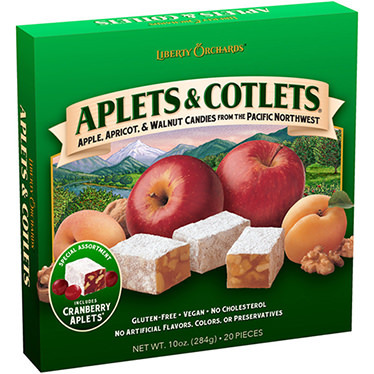 This special assortment contains our original Aplets (Apple & Walnut) and Cotlets (Apricot & Walnut) along with our exclusive Cranberry-Aplets, a unique blend of Cranberry and Apple flavors with Walnuts. Treat yourself or share with a friend and you'll be glad you did! Kosher.